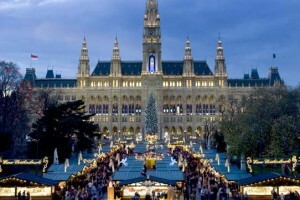 Vienna was the fist Christmas market I ever visited. It sparked a long love affair with European Christmas Markets and Vienna has to be the most spectacular so far followed by Budapest. 1st thing to remember about the markets is that there are so many. They all sell little Christmas ornaments food and mulled wine. Mulled wine in Germany and Austria call hot wine gluevine. The Austrian recipe is not my favourite so I didn’t go crazy it like I did in Bratislava for example. There’s is excellent. At the end of November each year the plaza in front of Vienna’s City Hall the Rathaus is transformed into a shopper’s playground. 140 Little booths line the plaza. Twinkling lights hang between them. Bundled up Viennese mix with winter tourists to shop for holiday gifts. The neighbouring park becomes an enchanted forest with old fashioned carousels and choirs come from all over Europe to perform at the Rathaus. The Christmas market which opens Saturday is a must-see event. City hall plaza isn’t the only market worth a visit. There’s one at Schoenbrunn palace if you’d like a bit more empire with your browsing. At the market in Spittelberg the offerings are more artistic. The streets narrow and picturesque. If you have the chance to get out to a small alpine town for a market. You’ll find lots of local objects. Felt slippers made from wool off local sheep. Schnapps distilled here on the hillside. Hats knitted by local grannies. Take small bills. Wear warm clothing and sensible warm shoes. It gets very cold and you will enjoy it more if you are prepared. 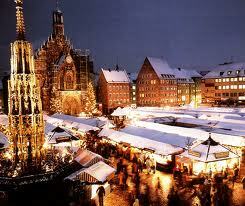 As with most markets the rule of early bird catches the worm is not true when it comes to Christmas markets. The festivities music get going later in the afternoon and evening and it is much nicer and festive. 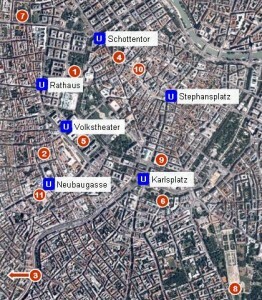 If you plan on staying in Vienna for a few days, the Vienna Card (Price: € 18.50) allows you to explore Vienna by public transportation. It also reduces rates for museums, exhibitions, guided tours, and theaters, cheaper shopping, advantages in cafés, at Heurigen taverns and restaurants. It is available at the tourist office, hotel desks and U-Bahn stations. You can avail of many tours and walks and city guides are available. We opted for the boat tour. It too 3 hours and honestly was quite boring. The free gulevin was actually disgusting and undrinkable so all in all Id look for a shorter one as it is always nice to see a city from the water. For centuries, Vienna was the glittering capital of a great empire where the potential sponsorship of the Hapsburg dynasty and many of the aristocrats at the imperial court created an excellent environment for musicians and artists. 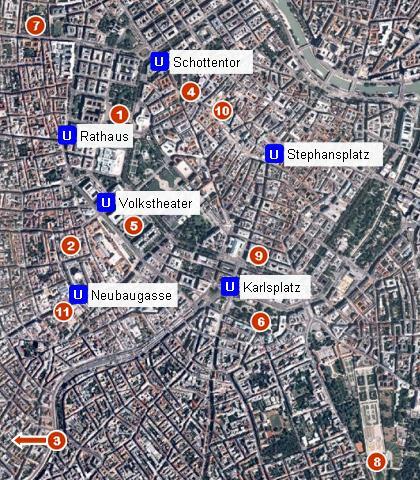 It is not surprising that many great composers were attracted to the city. They came, stayed and wrote immortal music. The Viennese musical tradition has continued for centuries. From Haydn to Mozart, from Mozart to Beethoven, from Beethoven to Schubert and onward far into the twentieth century. I couldn’t leave Vienna without experiencing the great tradition. Even attending a church service was spectacular. Vienna is most famous for being the birthplace of Wiener Schnitzel, a flat cutlet of veal, breaded and fried (traditionally in lard), served with a lemon slice, lingonberry jam and either potato salad or potatoes with parsley and butter. I love it. 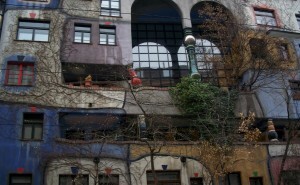 Vienna has amazing cafes restaurants and night life. 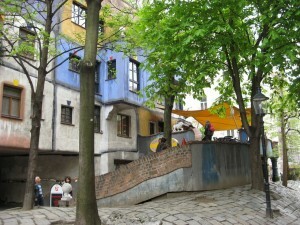 It is a very cosmopolitan city but not as Austrian or traditional as Salzburg. My favorite restaurant is 1516. The food is amazing, the service great, the price excellent, the staff lovely, the vibe laid back and cool and the clientele very eclectic. 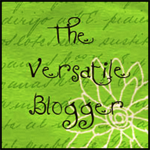 I went twice as I had such a good experience the first time. Highly recommend this restaurant/bar. Tafelspitz is boiled tri-tip. It is s another delicious Viennese dinnertime meal. The beef is simmered with root vegetables and spices in the broth Viennese style. Typically served with roasted slices of potato and a mix of minced apples and horseradish or sour cream mixed with horseradish. The Austrian Emperor Franz Joseph was a great lover of Tafelspitz. It is said that he was eating it daily. Some less reliable sources claim that the Tafelspitz was invented in the Hotel Sacher. 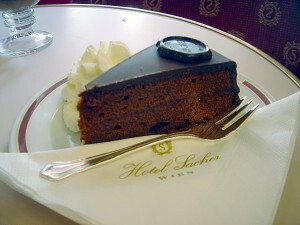 Speaking of Sacher. No visit to Vienna is complete without trying some Sachertorte. A chocolate cake that according to tradition was invented by Franz Sacher in 1832 for Klemens Wenzel, Prince von Metternich. A Sacher torte consists of two layers of dense not too sweet chocolate cake with a thin layer of apricot jam in the middle and dark chocolate coating on the top and sides. It is traditionally served with whipped cream. The original recipe is a well kept secret. 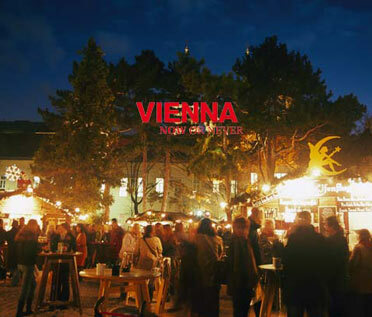 Vienna’s night life is world renowned and is thriving. The Gürtel ring road is fast becoming the nerve center of Vienna’s nightlife. Old timers Chelsea, B72 and Q [kju:] are being joined by a new music venues in the arches under the elevated subway. 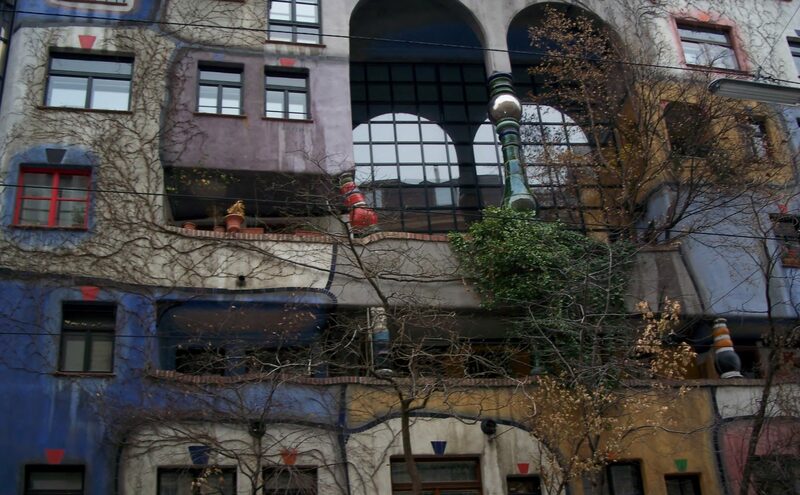 I went to visit a building by Hundertwasser and to this day its the most interesting apartment block I have ever seen. His views of city planning make perfect sense. He gives individuality to a place. Very inspiring and I wish more cities would follow suit. There is a cafe on the ground floor. They regularly show a short documentary on the design and inspiration of this building. I would love to live in a building like this. I flew to Vienna from Dublin on Aer Lingus. My flight cost less than one hundred Euro including taxes..
Would I go back? yes but its not my favourite. This entry was posted in Austria, Christmas Markets, Europe and tagged Austria, Christmas markets, Club 1516, Europe, exploring Vienna, gluevine, he Vienna Naschmarkt, Heurigen, hot wine, http://www.likealocalguide.com, http://www.likealocalguide.com/vienna, King Wenzel, Klemens Wenzel, like a local, mulled wine, sacher torte, Sachertorte, Sandra O'Rourke-Glynn, sandraorourkeglynn, Schoenbrunn palace, Spittelberg, travel card, U-Bahn, veal, Vienna, Vienna Card, Viennese, Wiener Schnitzel, Xmas Markets. Bookmark the permalink.